I find our native centipedes very challenging to photograph. They move rapidly and disappear into any nearby crevice or into detritus. I was not looking for this one or even engaged in photography when I noticed it on a sawn log in my garden. I fetched my camera and got some shots with my regular macro lens (last image). 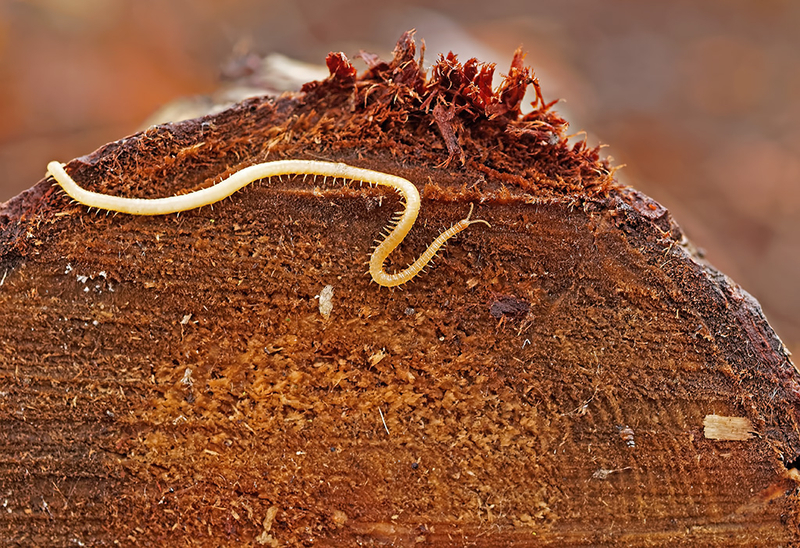 When it became apparent that this individual was going to spend more time on the log, I got my Laowa lens and flash. It was deep shade and I took a large number of images. The main issue was that the centipede kept raising its front end and/or waving it from side to side making framing difficult and focus much more so. I would like to have used a smaller aperture for more DOF but the lens is fully manual and low light made it difficult to see much anyway so I used f8. 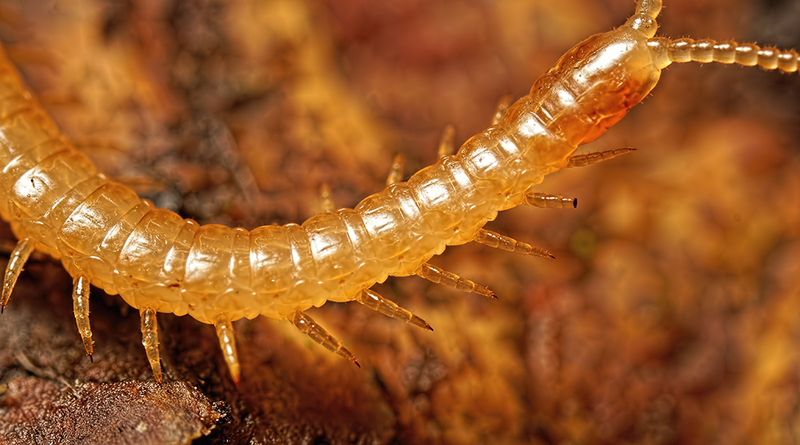 The centipede had some issue with its left antenna during the middle of the session and preened it as it went about its activity. It seemed unable to find its way off the log so I eventually picked it up and transferred it to the soil. 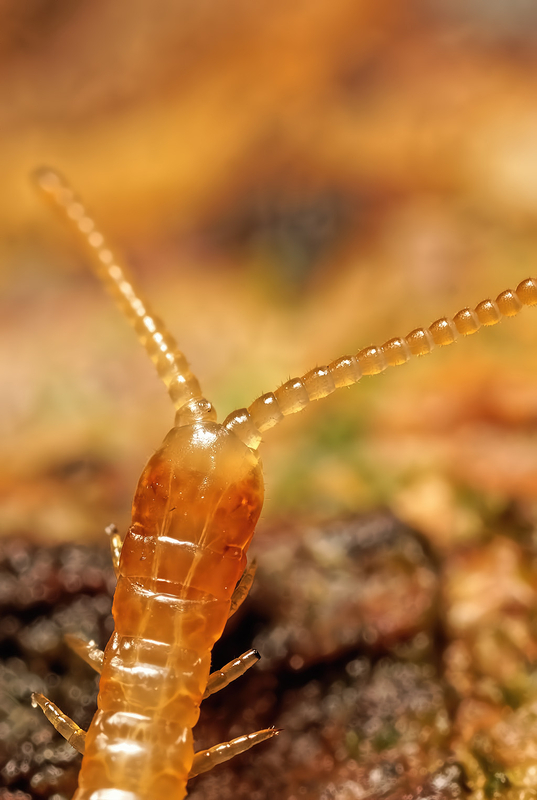 These are far from ultimate macro shots of the species but they seem worth sharing. Olympus EM-1 (manual mode), Laowa 25mm f2.8 2.5x-5x ultra-macro at x2.5 and f8, twin TTL flash hand-held. I am posting some (no very) old images which I uploaded elsewhere during my absence here.